Well, wasn’t Saturday great? 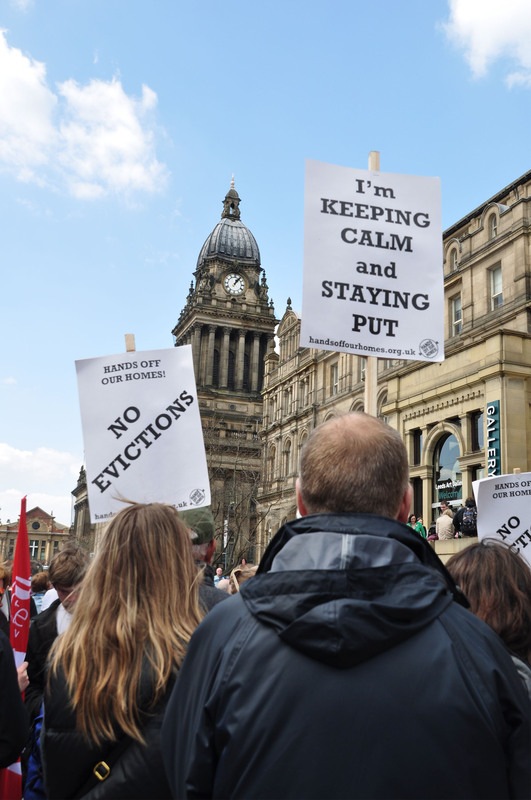 We got over 1000 people marching through the streets of Leeds cheered on by onlookers. We got a load of press coverage (see below) and no one can deny there is resistance in West Yorkshire, but what next? 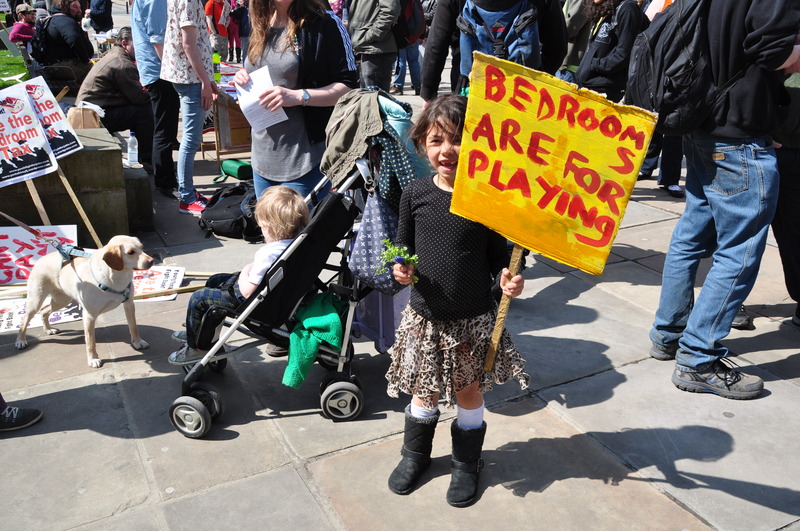 How do we stop the Council and other Social Landlords evicting? How do we go on to defeat this barbaric policy? In short, we need you. We know this is winnable but the demo was just the beginning. We need people to help get out the word and build resistance on the ground. To help us find all the people affected and make sure they know they are not alone. To give each other the confidence not to be bullied into going hungry or to miss out on the things we need. We have a mass appeal strategy to launch very soon (some of you might have picked up letters from the demo – send them off!) and will have other big things coming up so it’s really important you stay up to date. – Signing up to our newsletter by clicking here and entering your email address. This is just the beginning! Stick together and we can win! The demo was also covered on Radio Leeds, Aire and Magic.